Hindware and Faber are very popular brands when it comes to buying built-in hobs. 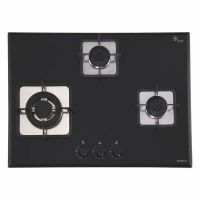 They offer a wide range of specially designed hobs essential for Indian cooking needs. You can see list of our Built-in Hobs - Hindware VS Faber below, perform Side-by-Side comparison. If you need further help, do have a look at Conzumr Guides and Tips. Alternatively you can view all Cooking Range to choose your own favourites. Energy Efficient and gives a Wide Range of power levels from maximum to sim position. 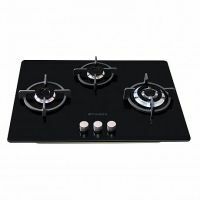 This amazing Built in Hob is suitable for Indian cooking and suitable for Indian vessels.This hob has a Multi Ring Swirl Burner which utilizes the principle of swirling and mixing of air and gas for perfect combustion resulting in a perfect & evenly spread blue flame.This Built-in Hob is energy efficient and gives a wide range of power levels from maximum to sim position. This GB 30 MT CIG Glass Hobe Auto Electric In-Built under Knob It has Enameled Pan Support It has comes 3 Burners Triple Ring & Medium. It has 72 cm Width. To Recieve updates and possible rewards for Faber GB 30 MT CIG please sign in. To Recieve updates and possible rewards for Cooking Range please sign in.